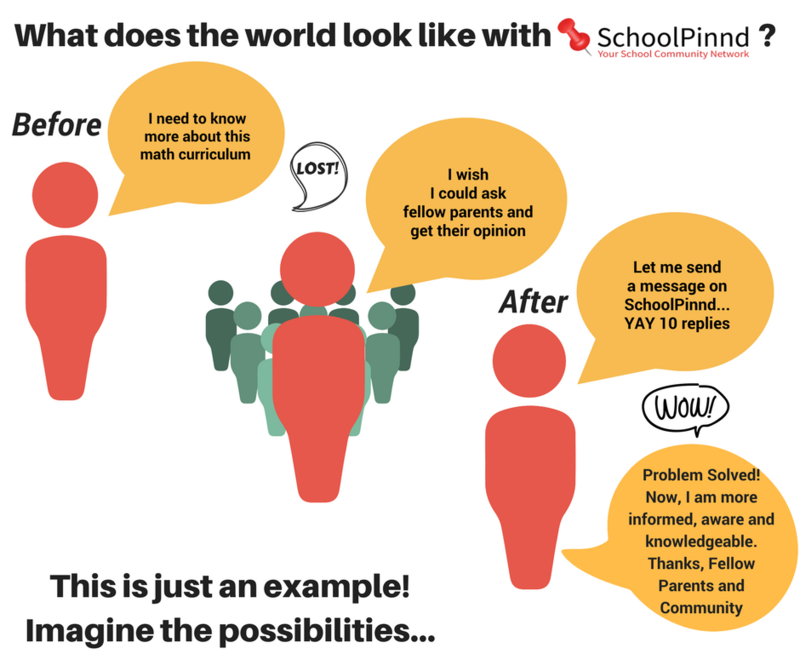 What Does the World Look Like with SchoolPinnd? Through an online sign up form, we had asked parents this question: What are two topics of most interest to you regarding your school or education? You could be discussing and getting answers to these and much more right now with parents/caregivers of YOUR school/district right here on SchoolPinnd! The race towards 1:1 implementations in the absence of data that supports increased learning outcomes for students who already have access to devices at home. The over emphasis of real world applications in Mathematics at a younger age instead of building a strong math facts foundation. Time management - school, sports, family, etc.